When you hear about “How to use WhatsApp without number”, you feel like? is it possible to use WhatsApp without Phone number? the answer is “YES” you can use WhatsApp without phone number by using a Simple trick. When we lose our phone, in which your number and WhatsApp was installed, and you want to access your WhatsApp account. That time the idea of “How to use WhatsApp without Number” came in your mind, and you start searching the web for a trick to use your WhatsApp without number. So today you came at the right place and in this trick, we will tell you about how you can easily access your WhatsApp account without number. 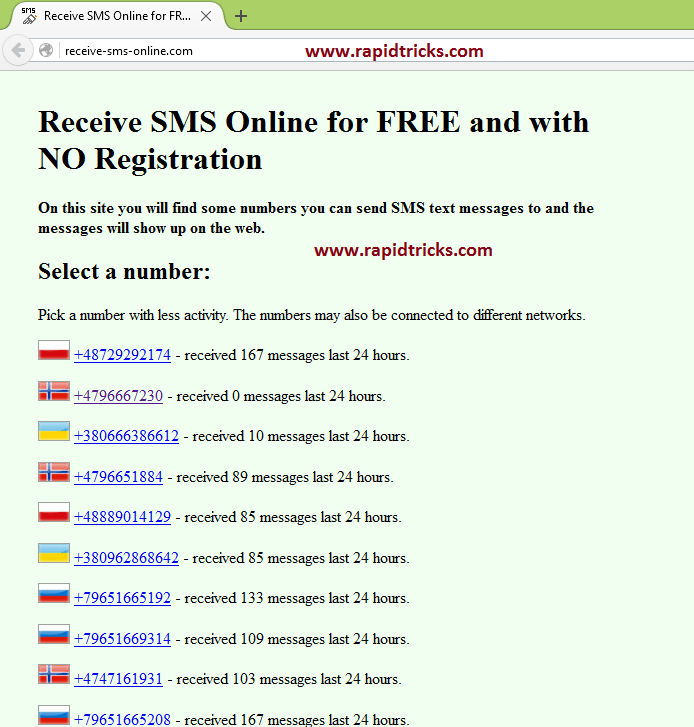 (it is the second method of using WhatsApp without Phone Number and it is quite easy also). Using WhatsApp without phone number is actually very easy, just follow the super easy steps given below to use WhatsApp without phone number. First of All, if you have installed WhatsApp on your phone then Delete it First (Don’t Forget to Backup your Important Data). After Deleting WhatsApp Successfully, Reinstall it From Google Play. After Re-installation of WhatsApp, this trick will start. Now open WhatsApp and enter your Selected number (which you selected from receive-sms-online.com) for WhatsApp verification. Now click on the number you have chosen for receiving the verification code. There you will find the six-digit verification code sent by WhatsApp. Copy the code and paste into WhatsApp. Now you are done enjoy. So that is how you can easily access WhatsApp without your phone number, don’t forget to share this cool trick with your friends and enjoy. Stay connected with us on social media and get all tips and tricks in news feed. (Note: Don’t use trick for any illegal purpose otherwise you may be stuck in bad circumstances).